Never normally write reviews but this waving wand is amazing! Almost didn’t order it after seeing mixed reviews but I’m so glad I did.. 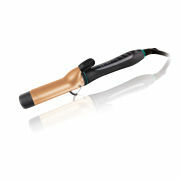 It isn’t a curler so it doesn’t curl the hair, it gives loose waves that look natural. They stay in all day if you use a good hairspray to set the waves and they come in a gorgeous felt bag. I haven’t used my straighteners or old curlers since buying these, definitely worth the price tag! I am a professional Hairdressing salon owner bought this waving wand and it is absolutely useless the waves last a few hours then disappear. You would need to use the wand daily to get the effect. This tool is a absolute waste of money. Absolutely love this it is amazing and creates perfect curls/waves in long hair!! Looks like a celebrity blowdry! Use this everyday so quick and easy to use, just make sure you use the glove thay comes with it! Worth every penny! 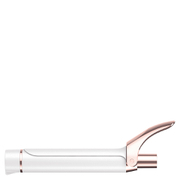 I have tried using this wand twice so far and it is great. Gives me the loose, glamorous, natural-looking curls I was after. Bought a big babyliss curler last month, which was terrible. Didn't work at all! Very happy to invest in this waving wand that should last a lifetime. I am still mastering the art of holding the curls in my hair all day - I think the key to this is finding the right hair spray. I burnt myself slightly the first time I used it, so do be very careful!! It is quite easy to manouvre the wand though and curling my whole head doesn't take more than 15 minutes, perhaps it will even take as little as 5 once I have fully mastered the art of sectioning, etc. Overall, I would highly recommend this wand. 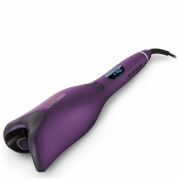 It is super quick to heat up and cool down.The cermaic coating is kind on the hair and it's super easy to curl your hair exactly how you want it. The UK and european plug option is handy too, since I often travel to europe for work. It comes with a handy felt case that doubles up as a heat pad, which is also very useful for protecting the wand when travelling.